The Basque movie Handia (Giant) has been nominated for 13 Goya awards, including best film, best director, and best script. The Goya Awards are granted annually by the Academy of Arts and Cinematographic Sciences of Spain. The film appears to be quite interesting as it is based on a true story. The film begins after one of the protagonists, Martin, returns to his family farmhouse in Gipuzkoa after fighting in the First Carlist War. There he discovers that his younger brother, Miguel Joaquín, is much taller than usual. Convinced that everyone will want to pay to see the greatest man on Earth, both brothers embark on a long journey through Europe in which ambition, money, and fame will forever change the destiny of the family. 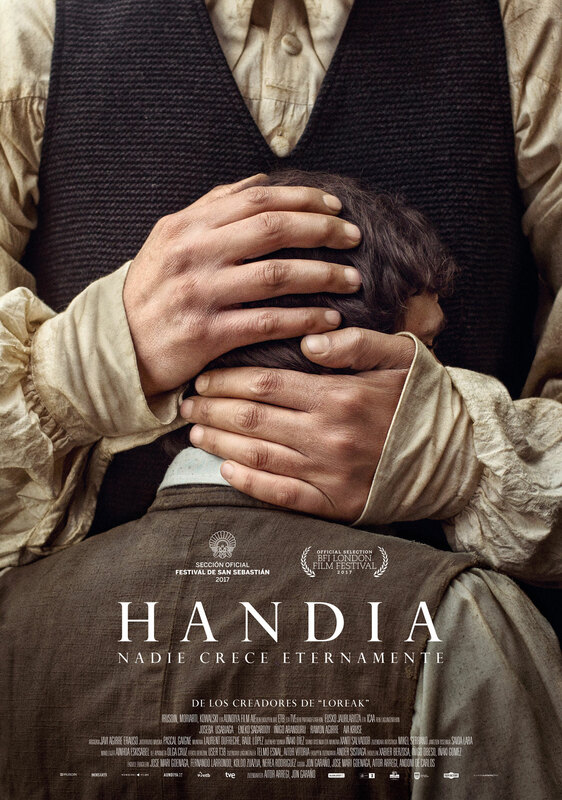 The film Handia tells the true story of Miguel Joaquin Eleizegi Arteaga, a character who in the mid-nineteenth century was known as the Giant of Alzo. 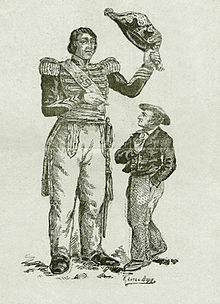 Born in 1819 in the Gipuzkoan town of Alzo, he suffered from acromegaly, a disease caused by a defect in the pituitary gland that causes excessive secretion of growth hormones. Miguel Joaquin came to weigh 467 pounds and measured 7’4 feet tall. Unfortunately, Miguel Joaquin died very young at the age of 43 from tuberculosis. If you want to know more about Basque Cinema you might like to read the following books: The Basque Nation on Screen: Cinema, Nationalism, and Political Violence & Basque Cinema.